We get that sometimes you want to kick back and indulge. That's what the Schmick package is here for. 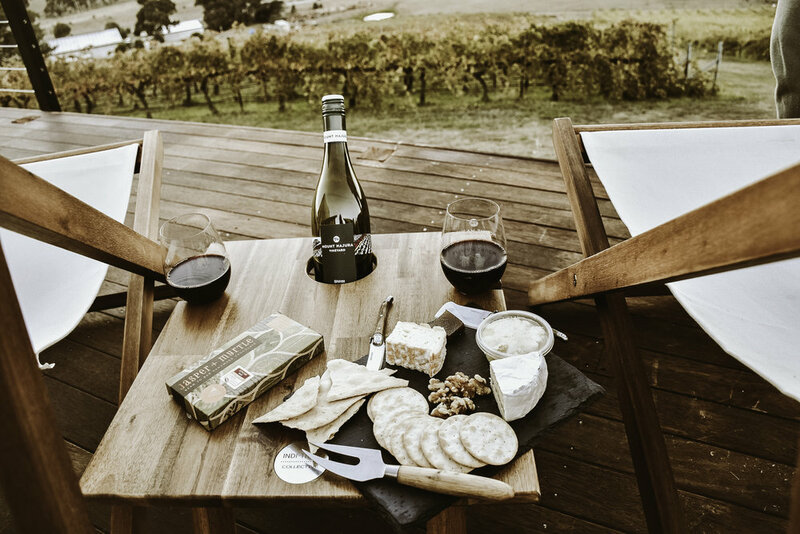 All the inclusions of the Simple package, plus a gourmet picnic hamper, wine tasting and bottle of Mount Majura wine. Gourmet picnic hamper from Schmicnics, filled with local produce (sample menu below). Check in from 2pm. Check out at 10am. We love sleep-ins, and if you do too just contact us and we’'ll see what we can arrange. And we've partnered with them to take your getaway to the next level. Settle in with a hamper prepared by the chefs of The Boat House. It's practically like eating at one of the best restaurants in Canberra, only from your own private deck in a vineyard. Please note - there are currently no bathroom facilities located at the cubby site. The closest bathroom is located at the cellar door (3 minute walk from the cubby). No showers!